Online mattress retailer Purple recently announced it has expanded its distribution relationship with Mattress Firm, one of the largest mattress retail outlets in the country. The move will extend the Utah-based mattress retailer’s distribution to Mattress Firm stores in Phoenix and California’s Bay Area. Already, Purple mattresses are available in select Mattress Firm stores throughout Washington, D.C., Sacramento, Calif., and Austin, Texas as well as online on MattressFirm.com. The recent expansion comes on the heels of the November 2017 announcement of Purple’s first distribution agreement with Mattress Firm. That initial foray into Mattress Firm stores also marked the launch of three new Purple mattress models. The latest expansion represents the growing success of Purple’s multi-channel approach to mattress sales, which distinguishes the company both from traditional mattress retailers and from online-only mattress companies. In November 2017, Purple first announced it would be partnering with Mattress Firm to extend the distribution of its patented mattress technologies into physical retail locations. Prior to this partnership, Purple sold its mattresses exclusively online. The first distribution expansion brought Purple mattresses to select Mattress Firm stores throughout Washington, D.C., Sacramento, Calif., and Austin, Texas. These locations were selected by Mattress Firm in accordance with the company’s consumer research. Those Mattress Firm locations selected for Purple’s in-store launch were also the first to pilot Purple’s newest mattress innovations. The three new mattress models — dubbed Purple 2, Purple 3, and Purple 4 — each feature Purple’s patented Hyper-Elastic Polymer® technology, which consists of a stretchy and durable material. Purple claims this material provides spinal support, pressure relief, and temperature regulation. The mattresses also feature individual response coils designed to isolate motion, minimize squeakiness, and offer full-body support. They come in a range of firmnesses, from relatively soft mattresses to firmer mattresses. RELATED: Purple 2, 3, and 4 Mattress Review: Will You Sleep Better With Science? At the time of their launch, the new mattress models were available exclusively in Mattress Firm stores. Now, they’re available in select Mattress Firm retail locations as well as online on both MattressFirm.com and Purple’s website. The success of Purple’s first distribution partnership with Mattress Firm inspired the online company to continue expanding its presence in Mattress Firm’s physical retail locations. In a press release announcing Purple’s initial decision to partner with Mattress Firm, the company described the new distribution agreement as part of a “blended channel approach” to mattress sales. Rather than selling mattresses exclusively online or in stores, Purple has found a way to provide its customers with both options — while sparing itself from needing to invest in its own retail stores. 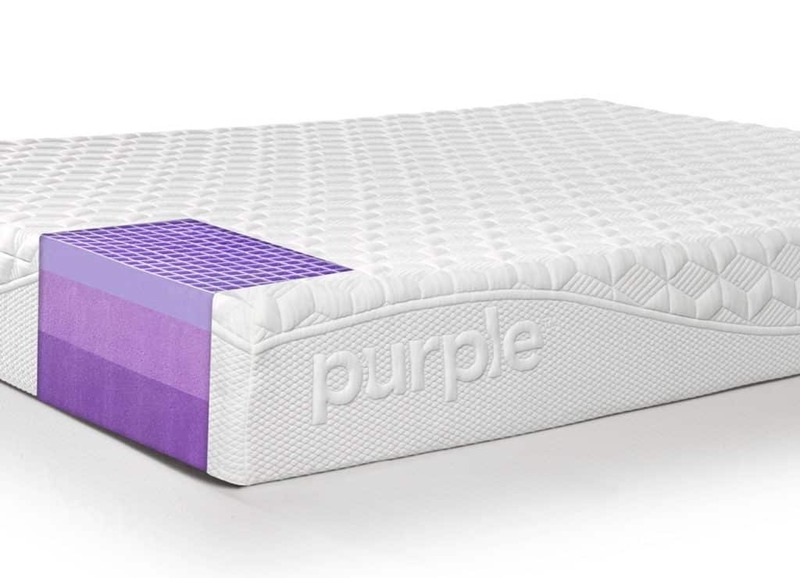 It remains to be seen whether the success of Purple’s distribution agreement with Mattress Firm will inspire other online retailers to follow suit. In the meantime, the decision expands the purchasing options available to everyday mattress shoppers.